Thymus is a short shrub with several major branches, and dense terminal heads. Several species of Thymus can be found across Iran. In Iran, thymus is usually dried and powdered, however, in other countries, aside from its powder, its fresh leaves may be used in cooking. Thymus tea helps digestion and cures stomach ache and flatulence. It is a mucokinetic agent and can prevent coughing, palpitation, whooping cough, asthma, and upper respiratory tract infections. Thymus tea is sedative and can help conditions like insomnia, migraine, headache, and dizziness. It can boost memory, and help with treatment of bronchitis. 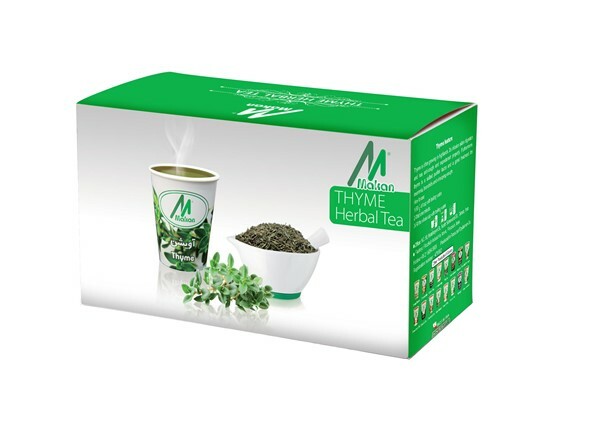 A new genius idea is to fix thymus pods in the bottom of paper cups, making it possible to prepare a delicious and healthy herbal tea in just a minute. These environment-friendly flavored tea cups are recyclable, and can save up time and energy.